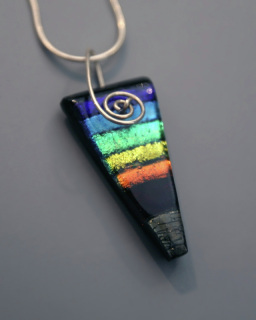 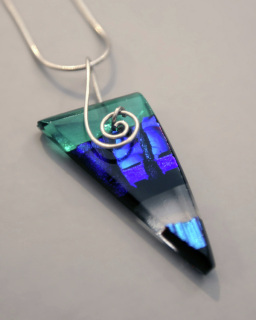 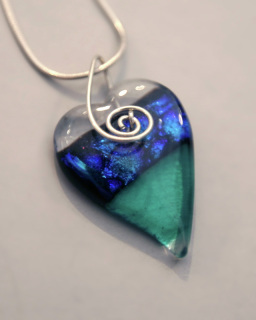 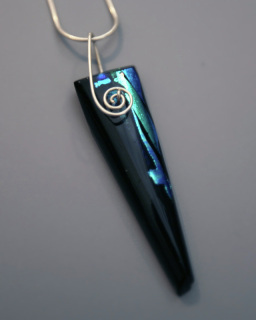 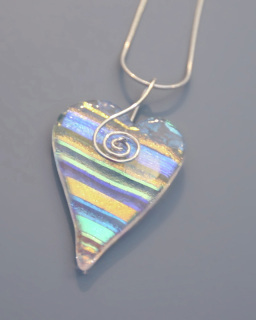 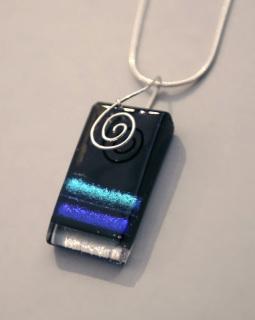 Clear fused Dichroic Glass Pendant 1" x 1 1/4""
Fully fused triangle pendant with blue, turquoise, black & clear. 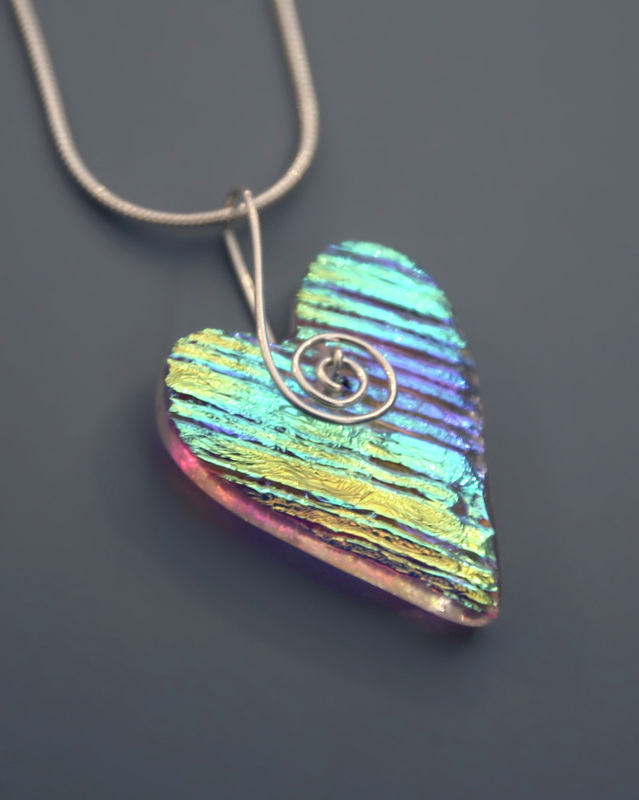 1/2" x 1"
Clear fused Dichroic Heart Pendant Sterling Bail 1 1/4" x 1 3/4"
When worn over most colors, you'll find it coordinates beautifully with each! 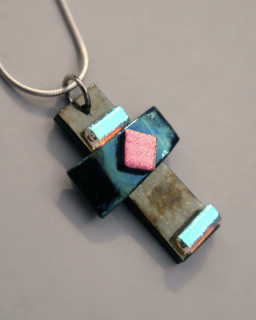 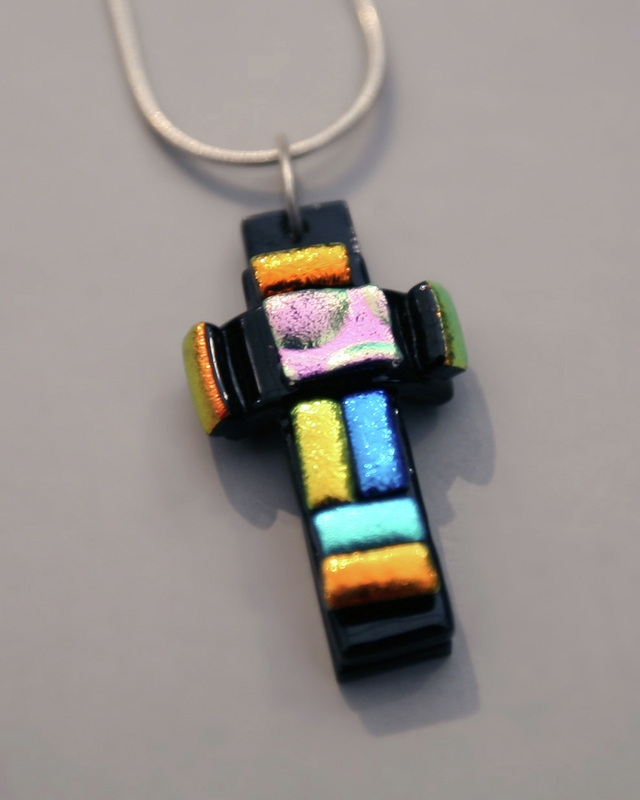 Simple Contemporary Rectangle Full fused Spiral Pendant- 1/2" x 1"
Small Dichroic Cross - 3/4" x 1 1/4"
Cross w/Orange, Blues, Yellow & Pink - 3/4" x 1 1/4"
Full fused Elongated Triangle Pendant w/Blues & Black - 1/4" x 1 1/2"
Full fused Triangle Rainbow Spiral Pendant - 5/8" x 1"